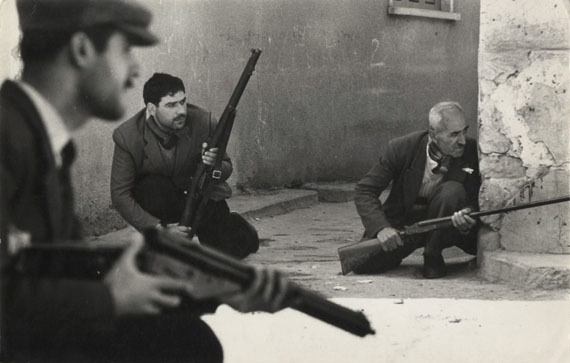 London (30 Jan – 24 Apr 2019) To coincide with the major retrospective at Tate Britain, Hamiltons will be celebrating Sir Don McCullin’s lifetime achievement and decades of collaboration with Hamiltons by exhibiting rare and unseen vintage prints dating back to the 1950s. Between 1966 and 1984, McCullin worked for The Sunday Times Magazine when the newspaper was at the cutting edge of investigative, critical journalism. It was the Rolls-Royce of journalism,” recalls McCullin (Le Monde). During this period, McCullin’s assignments included Biafra, the Belgian Congo, the Northern Irish ‘Troubles’, Bangladesh and the Lebanese civil war. His photographs of Vietnam and Cambodia have become among the most famous images of those conflicts.